Sure, jazz is global these days. But looking to New York for inspiration still isn’t a bad idea. It certainly pays off on Bath-based bass player Greg Cordez’ second CD. His first recording in 2015, Paper Crane, saw a quintet of Bristol-based players benefit from his often ruminative, spacious settings, with particularly beautiful playing from the under-rated pianist Jim Blomfield. This new set, in contrast, was captured in Brooklyn, and uses four prominent US players: Steve Cardenas on guitar, Kirk Knuffke on cornet, Michael Blake on saxophones and Allison Miller on drums. 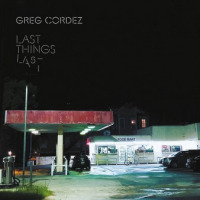 Cordez and producer Ben Allison make the most of the stellar line-up, aided again by Cordez’s subtle, beautifully considered compositions. Chekhov’s Gun (the one that, if a writer mentions it hanging on the wall, must eventually be fired) begins with two of the front-line playing interweaving lines. It’s a device that recurs, to good effect through the set: sometimes fast, sometimes slow, always effective. It’s particularly striking when it involves Knuffke’s plush cornet sound and the similarly rounded tone of Cardenas. The guitarist, a Monk aficionado who many will know from Paul Motian’s Electric Bebop Band, and Knuffke, who combines a Kenny Wheelerish melodic flair with an affinity for Coleman and Cherry, seem to have a special connection on this session, and every time they play together here is a delight. That’s not to undervalue their solo excursions, substantial in each case, or the rich contributions of Blake and Miller. All find plenty of inspiration in Cordez’s writing, from the rockier opening numbers through a succession of gentler, more reflective pieces. As the titles suggest, Low Winter Sun, Last Things Last and All That Is build a contemplative mood that is the predominant flavour of the second half of the set, capped by the wistfully beguiling Junebug which closes the list with an especially affecting Knuffke-Cardenas duet. The leader sticks to electric bass throughout (though you’ll hear the upright instrument on some of these numbers on gigs). Apart from a couple of brief intros, he’s mainly an unobtrusive presence, keeping the stage set while the other fine musicians he’s recruited enjoy the limelight. In the playing here, as in the composing, Cordez focusses unerringly on that signal jazz virtue: making other people sound good. And they really do. Listening link (track order reversed). The CD launch (admission price secures a copy) is next Monday 19 February in Bristol - DETAILS.